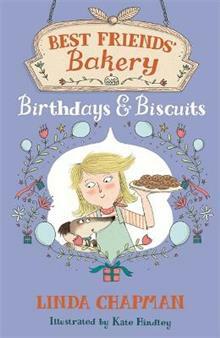 Eleven-year-old Hannah Hallett has loved baking all her life and is endlessly coming up with amazing new ideas. Her mum's just the same - and now she's moved the whole family to the countryside so she can pursue her dream of opening her own bakery! It's the summer holidays, and now that Junior Brilliant Baker is over, Hannah can finally relax and enjoy herself with her best friends! They're baking biscuits for the launch of George's mum's new shop, Natural Beauty, and finally planning Hannah's birthday sleepover. But when Hannah meets mysterious new girl Abi at the launch, and hears that the local animal shelter, PAWS, is struggling, she realises that there are people - and animals - in Ashingham who need help. Can the best friends work out what's wrong with Abi and save PAWS at the same time?